Unless Dear Leader is privy to research that the rest of us are not, every poll thus far shows steadfast public opposition to asset sales. Even two polls on politicians’ websites – one, Peter Dunne, and another belonging to Bill English – showed a massive opposition tostate asset sales. (Neither polls are accessible on those websites, and have been taken down. See: Is Peter Dunne about to become the Man of the Year? As the first sale nears, National will find public antipathy and pressure increasing. National’s own internal polling is probably showing anger increasing and support for National dropping. The next public opinion polls will be crucial. 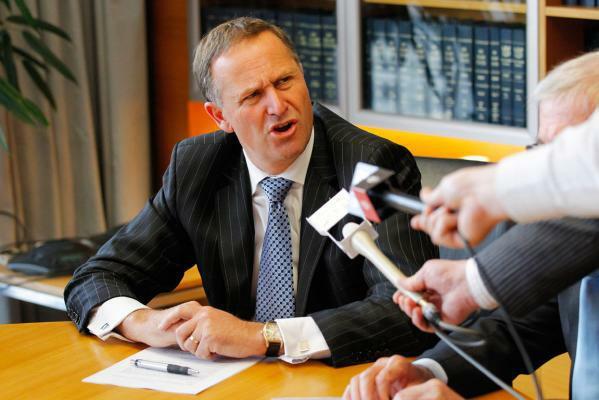 If National stays steady in poll ratings – the sale process will proceed. If National drops below 40% in those polls – expect the sale process to go the same way as Hekia Parata’s plans to increase class-room sizes. In which case, John Key’s only “exit strategy” is to “post-pone” the sales indefinitely and put the blame on an increasingly uncertain global situation. Why not? He’s used that excuse countless times before. National’s plans to partially-privatise State Owned Enterprises (SOEs) continues to grind on – despite over-whelming public opposition. It’s time for every New Zealander who opposes these sales to make their voice heard loud and clear, and to flood the Beehive with a storm of protest mail! 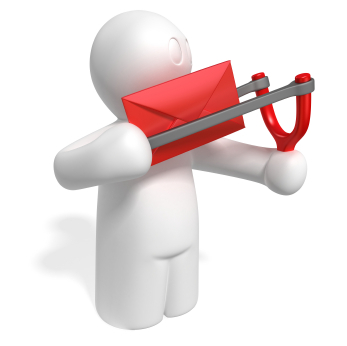 One million-plus emails and letters will create a loud message that will make politicians sit up and take notice. It costs nothing – and you may be saving $6 billion worth of assets that belong to you, your family, and other New Zealanders. State assets up for partial sale: Meridian, Genesis, Mighty River Power, Solid Energy (formerly Coal Corp), and Air New Zealand. Send an email now. Or a paper-letter (no stamp required). We can flood the Beehive with a Million Messages, and it will be messages that will make politicians pause and think. In May, 2010, over 50,000 New Zealanders marched up Queen Street, Auckland, to stop mining in our Schedule 4 Conservation land. The politicians backed off smartly. Imagine what 500,000 letters and emails can accomplish! Eventually, John Key, Tony Ryall, Peter Dunne, and Steven Joyce, et al, will no longer be able to ignore our growing clamour. It’s damned hard to ignore 1 million emails and letters. Write now! Write often! Keep writing! Please note: make your letters/email polite, but firm. Please pass this Campaign on to others! This will be our one and only chance to put the brakes on this government’s asset sales plans! National’s grand plan to boost the economy appears to be somewhat… stuffed. 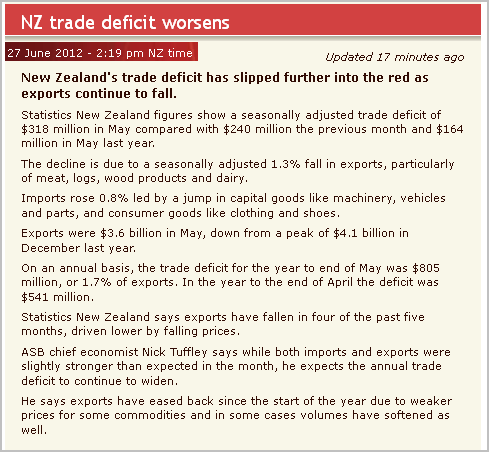 Question: who will John Key blame for this current crop of failures? National appears to be floundering with it’s plans, promises, and pledges to create 170,000 new jobs; grow the economy by 4%; and to stem the flow of migration to Australia. In fact, if I was the sort to believe in Conspiracy Theories, Gremlins, and Nostradamus – this blogger would be tempted to believe that the entire National caucus (along with their lap-dogs, John Banks and Peter Dunne) have been abducted and replaced by Grey alien replicants. 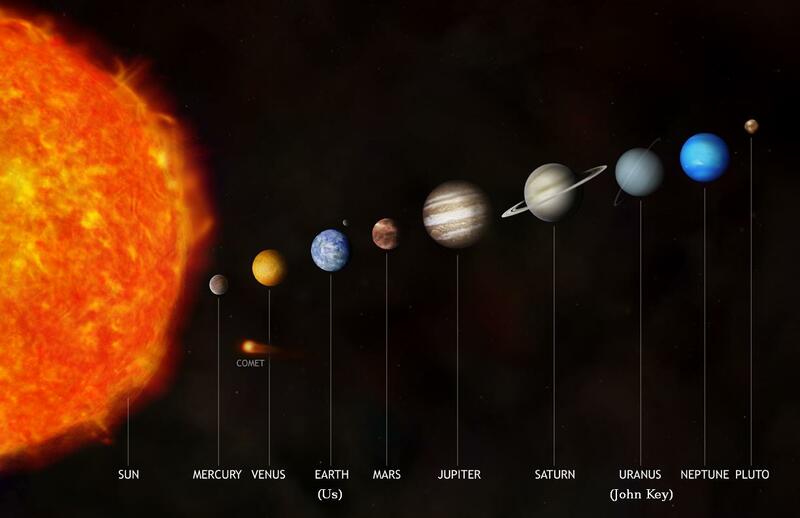 Though why aliens would travel 39 light years to Earth, just to screw our economy defies explanation. Then again, it defies explanation why National is doing the same. This is a Must Watch talk by a person who has cut-through the neo-liberal garbage of insane dogma. He is absolutely spot on. I’ve made precisely the same points – especially about how the rich can’t really buy (consume) enough consumer goods, alone, to make an economy tick. As he said, he can only buy so many clothese; eat so much food. It’s the rest of the population that consumes and makes an economy tick. And creates jobs. He’s sussed it pretty well, and has identified the great flaw (or lie, if you prefer) in neo-liberalist dogma; that the rich are “job creators”. 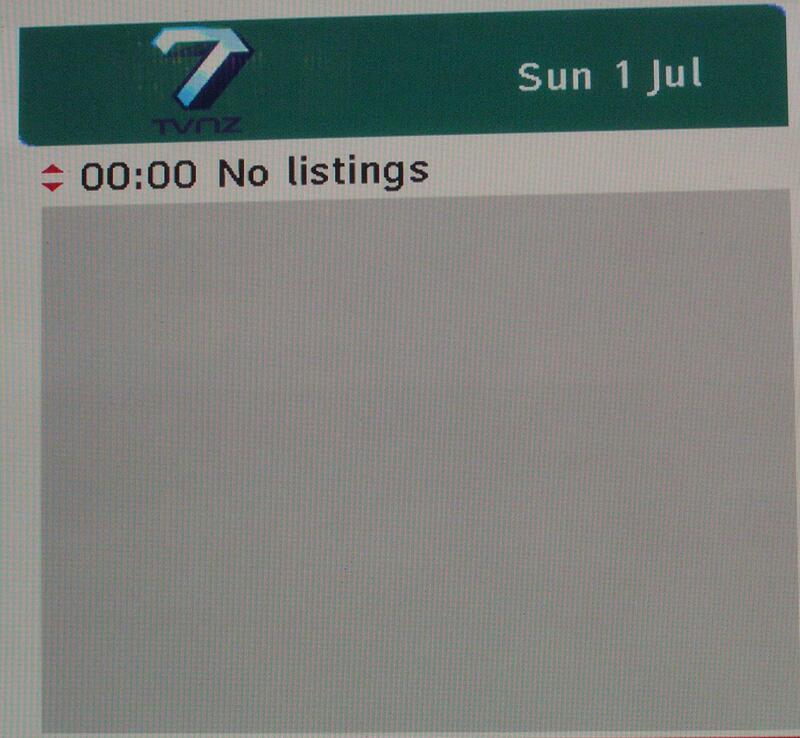 New Zealand’s only public service, non-commercial TV broadcaster will be closed down – another casualty of National’s ideological mania for cost-cutting and gutting of our public services. The National Party does not build social services – it cuts them. And where they can get away with it, National will close down or privatise a social service. This is what the public of New Zealand gets when they vote for a National government. It is up to a Labour-led government to eventually re-build what National has wrecked. National, ACT, and Peter Dunne have passed legislation to enable the partial-privatisation of our property; Meridian, Genesis, Mighty Rive Power, Solid Energy, and Air New Zealand. I will not take this lying down. Neither should you. 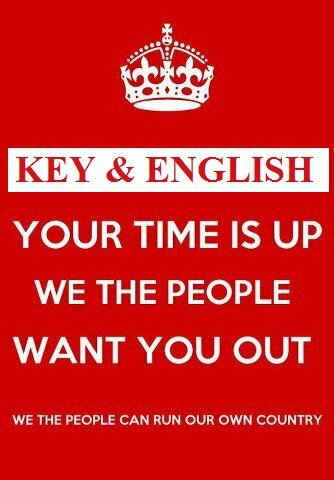 If ever there was a government that has deliberately ignored the will of the people, it is this John Key-led National Party, along with it’s one-man band supporters, John Banks and Peter Dunne. By passing legislation to enable asset sales, they have thumbed their noses at the entire country. This government is now so far out of touch with the public, that they are blind to what New Zealanders want for the future of their country. Mr Key can smile and dress-up the proposed asset sales in any way he wants – but the people will revile him for selling what we alreadsy own. Shame on you, John Key, and on you, Peter Dunne. Shame of you for taking what belongs to us – and then trying to sell it back to us, and any carpetbagger that pops up from overseas. If I have one word of advice to this wretched government, it is this: resign. One cannot help but be thoroughly disgusted at the actions of John Key and his wretched “government”, in passing asset-sale legislation. The manner in which they have blatantly disregarded public opinion on this issue, is simply appalling. This government has lost it’s legitamacy and should resign. Give the people a new election, and a fresh chance to determine the future of our country. Peter Dunne – you should be thoroughly ashamed of yourself. Congratulations for ignoring the will of the people, including those in your own electorate. Bravo! The majority of New Zealanders wanted our state assets kept in public ownership – and you have steadfastly refused to respect those wishes. I wonder how you will be viewed by future historians? As a politician who stood against 3.8 million New Zealanders; that you were right and everyone else was wrong? Or as another ‘Roger Douglas’ and ‘Max Bradford’ – politicians who also went against the will of the people, and are now scorned figures in our history? Mr Dunne, you could have stood against the tide of privatisation – seen as sheer theft by the rest of us – and gone down in history as the man who made a difference. You could have been a stand-out figure in our history. But you failed. You failed us, the people. And you failed yourself. You have participated in an act of infamy and you will have to share a measure of the responsibility for your actions. Right about now, a fair number of people throughout the country, and in your own electorate, want you gone from Parliament. But no doubt you will resist that demand as well, just as you resisted our calls not to sell our state assets. The next two and a half years will not be happy for you, sir. And deservedly so. Victory: over 80% of the people who opposed asset sales. You have ignored the vast majority of New Zealanders who do not believe that our power companies; Solid Energy; nor Air New Zealand should be sold. These are people who understand that (a) they make good profits for the State, (b) would not help the country if they were sold, and (c) they belong to us and our children. The last point is especially pertinent; these are state assets that belong to each and every one of us. At best you and your Parliamentary colleagues are guardians of these assets – not the owners. But that hasn’t stopped you from passing legislation to part-sell these SOEs. That is our property you intend to sell. Accomplishment: you took a slim electoral victory and have converted it into some kind of warped, over-hyped, “mandate” to sell assets that you do not own and which the people do not want sold. Right about now, you must be feeling a sense of relief that your Party has overseen this legislation passed. But I am guessing that you may also be sensing a fair measure of unease. Well you should. You and 60 of your fellow Parliamentarians are facing three and a half million very pissed of New Zealanders. That’s quite a feat to have gone from being one of the most popular Prime Ministers – to someone who is now reviled up and down the country. Sir, I suggest that these partial-asset sales is a mistake – probably the greatest mistake and miscalculation of your career. If you think that New Zealanders will come to accept what you are doing, then you are wrong. It is not too late. You can still post-pone any asset sale until after the referendum. If you truly believe that New Zealanders will come to support your plans, then you will give us a chance to express ourselves through the referendum ballot paper. If you choose to ignore public opinion, then you have lost the support of a majority of New Zealanders. People are angry now. But wait until the first SOE is sold, and that anger will manifest itself in a myriad of ways. You will have lost respect in the eyes of the country, and any legitamacy you have as our elected leader. I am writing to you as a New Zealand citizen – one of many – who is apalled and disgusted at the passing of legislation, making way from the part-privatisation of Genesis, Meridian, Mighty River Power, Solid Energy, and Air New Zealand. Like 80% of other New Zealanders, I am utterly opposed to any partial sale of state assets – especially strategic state assets such as our energy companies. As has been pointed out innumerable times, there is no sound commercial or social reason to sell-down any of these assets. As well as making sound returns for the State and us, the taxpayer, these are assets that belong to all New Zealanders – not just those who can afford 1,000 parcel-shares. John Key and his colleagues have ignored public opinion; scorned public expressions of protest; and swept aside sound arguments against privatisation. They are resisting the will of some 70-80% of New Zealanders by proceeding with their actions. Accordingly, I offer to you a proposal to undermine their ill-conconceived and undemocratic plans. Whilst all three parties are staunchly opposed to state asset sales, NZ First leader, Winston Peters went one step further, promising that his Party would buy back the assets. The Greens and Labour are luke-warm on the idea, quite rightly stating that there are simply too many variables involved in committing to a buy-back two and a half years out from the next election. There was simply no way of knowing what state National would leave the economy. And did I mention more deficits? By 2014, National will have frittered away most (if not all) of the proceeds from the sale of Meridian, Genesis, Mighty River Power, Solid Energy, and Air New Zealand. In such an environment, it is difficult to sound plausible when promising to buy back multi-billion dollar corporations. Peters is correct; funding per se is not an issue. In fact, money could be borrowed from any number of sources, including overseas lenders. The gains from all five SOEs – especially the power companies – would outweigh the cost of any borrowings. The question is, can an incoming Labour-Green-NZ First-Mana government accomplish such a plan? A plausible scenario would have the leadership of Labour, NZ First, the Greens, and Mana, meeting for a high-level, cross-party strategy conference. Winston Peters presents a plan to the public, promoting NZF policy to buy-back the five SOEs. As per his original proposals, all shares will be repurchased at original offer-price. The Mana Party buy-in to NZ First’s plan and pledge their support. Labour and the Greens release the joint-Party declaration stating that whilst they do not pledge support to NZ First/Mana’s proposal – neither do they discount it. At this point, say Labour and the Greens, all options are on the table. That scenario creates considerable uncertainty and anxiety in the minds of potential share-purchasers. Whilst they know that they will be recompensed in any buy-back scheme – they are effectively stymied in on-selling the shares for gain. Because no new investor in their right mind would want to buy shares that (a) probably no one else will want to buy and (b) once the buy-back begins, they would lose out. The certainty in any such grand strategy is that the asset sale would be effectively sabotaged. No individual or corporate buyer would want to become involved in this kind of uncertainty. Of less certainty is how the public would perceive a situation (even if Labour and the Greens remained staunchly adamant that they were not committed to any buy-back plan) of political Parties engaging in such a deliberate scheme of de-stabilisation of a current government’s policies. The asset sales programme would most likely fail, for sure. These are desperate times, calling for desperate measures. Bold measures. If all four opposition parties can create a plan that will undermine National’s asset-sales programme, then that may be the only way to preserve what rightly belongs to us all. I, and others, encourage and support you to work together on this critical matter. Without firm leadership from the four Opposition Parties, the public have little hope of stopping National. I will pass it to David Shearer. Thank you for your email. I will pass your message on to Mr Peters for his attention. Thank you for your email to Russel and Metiria. They have asked me to reply on their behalves. We appreciate you taking the time to send your idea through to us. You have obviously put a great deal of thought into this and seem to have a very thorough understanding of the issues involved. It’s an interesting idea. I have forwarded it to our advisors on the asset sales issue, and we will have a think about it! Thanks again for taking the time to write, and for your passion about this important issue. Is John Key showing desperation on asset sales? Aotearoa – a wider perspective: Asset sales and Nationalisation, Argentina leads the way!